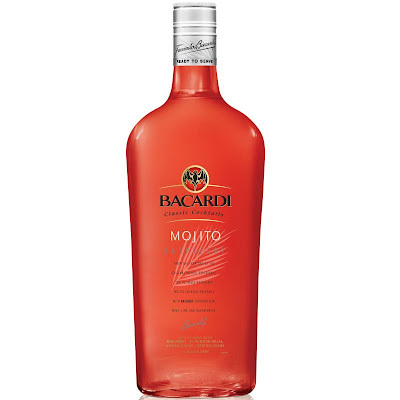 Bacardi today announced the launch of the Bacardi Classic Cocktail Raspberry Mojito, the second addition to its ready-to-drink portfolio. Presenting the same taste as the original, this new raspberry offering is made with Bacardi Rum, natural lime and mint flavors and an extra burst of ripened raspberries. "After the original mint and lime mojito, the raspberry mojito is one of the most popular mojitos requested at bars and nightclubs, so offering a convenient, ready-to-serve raspberry mojito for home entertaining was a natural extension for the brand." The 15-percent alcohol-by-volume (30 proof) ready-to-drink cocktail is available in a 750-ml size as well as a 1.75-liter. It has a suggested retail price of $12.99 and $19.99.